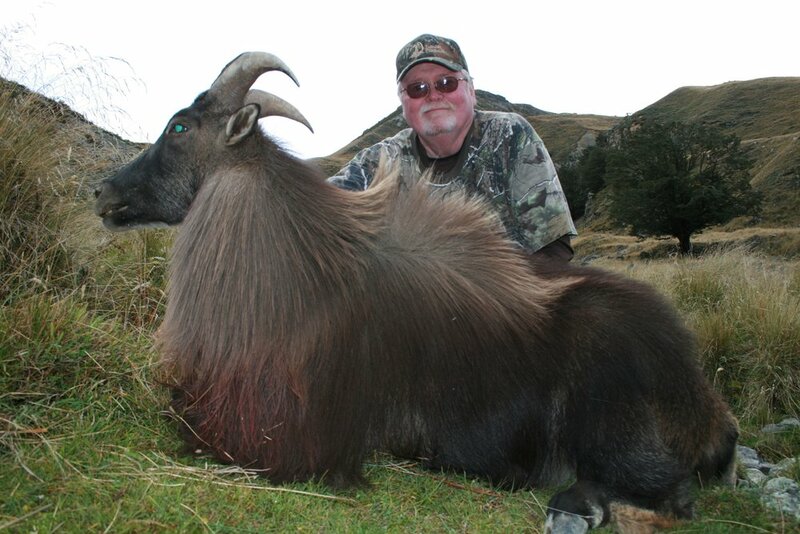 "We are very proud of our Tahr hunts & the thrill our clients get when they are successful in harvesting this unique mountain trophy"
"This hunt is available to all ages & physical abilities - due to exceptional vehicle access through this free range area"
"Expect to see 10 - 40 trophy bull Tahr each day"
Rolling average of 8 1/2 years old & 12.75 inch horns. 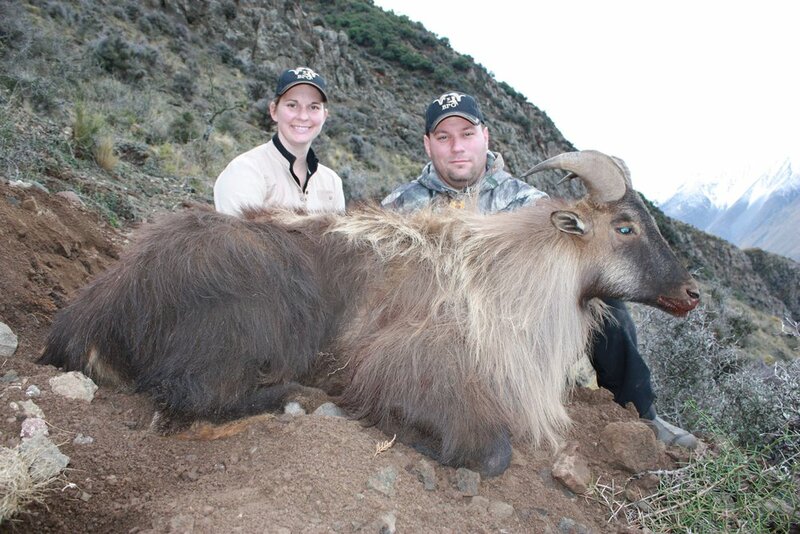 We can hunt Tahr all year long - for the best skins, we recommend hunting April through September. 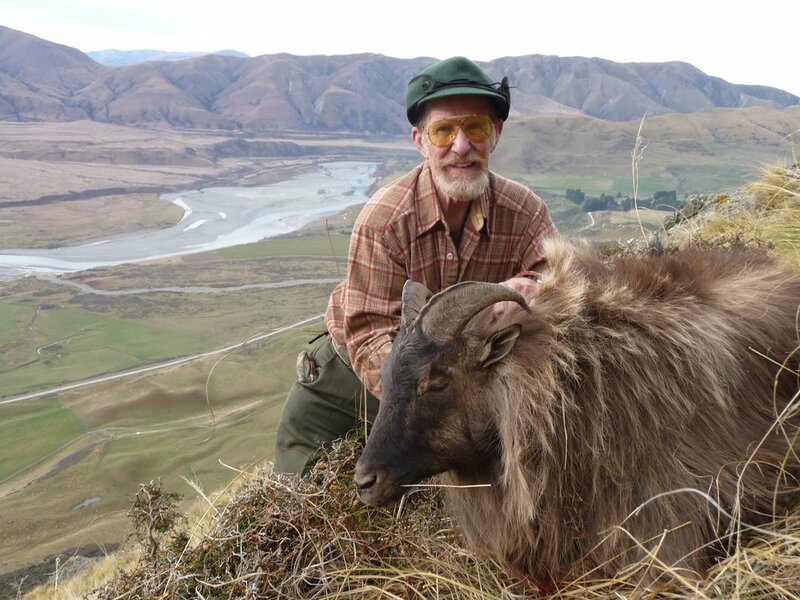 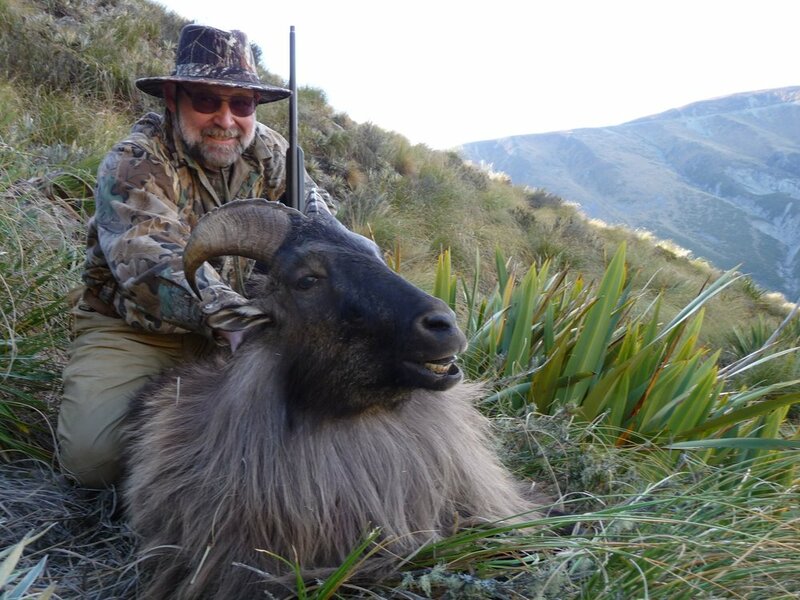 It should be noted that many New Zealand outfitters totally rely on using helicopters to hunt Tahr in the mountains on public land. 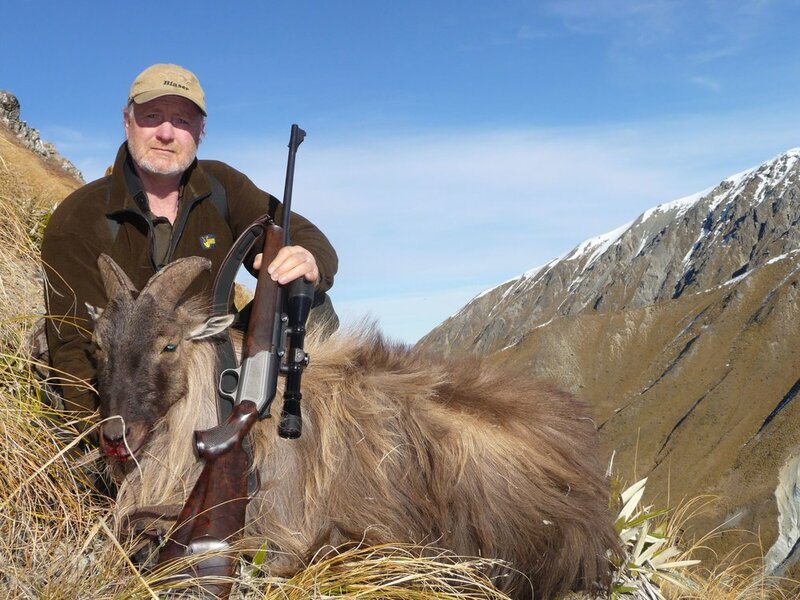 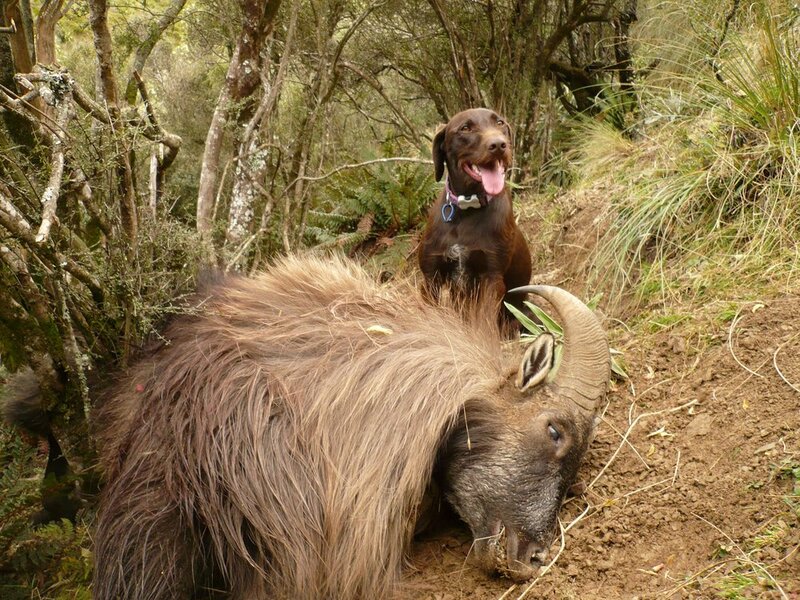 This is a legal form of hunting in New Zealand subject to certain conditions. 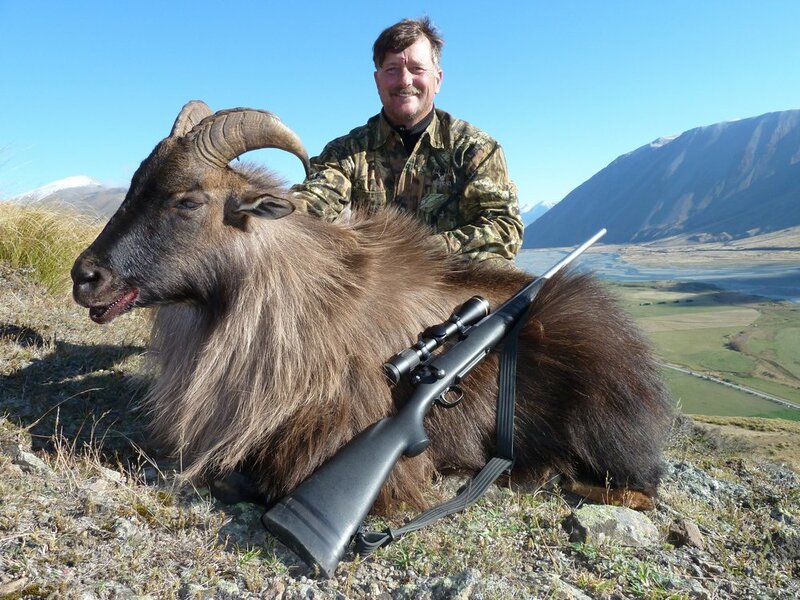 We prefer to do our Tahr hunts on foot, as we consider this to be one of the best international mountain hunts available. 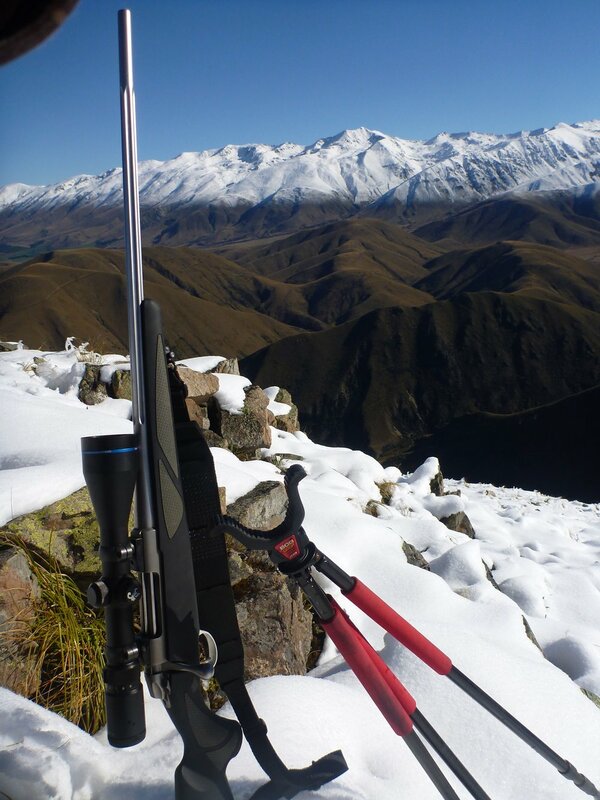 Our success rate is basically 100% from season to season. 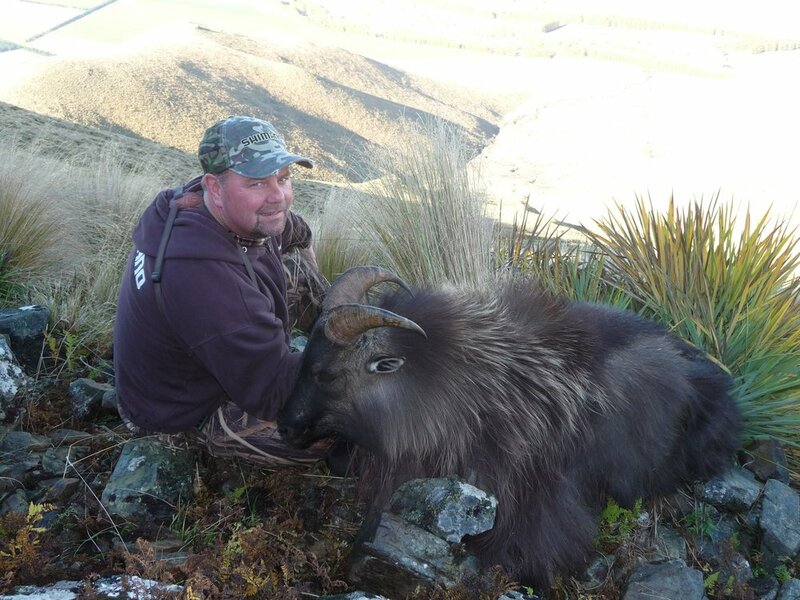 We spend alot of time on the hill ageing the trophy bulls and selecting good skins for mounting after. 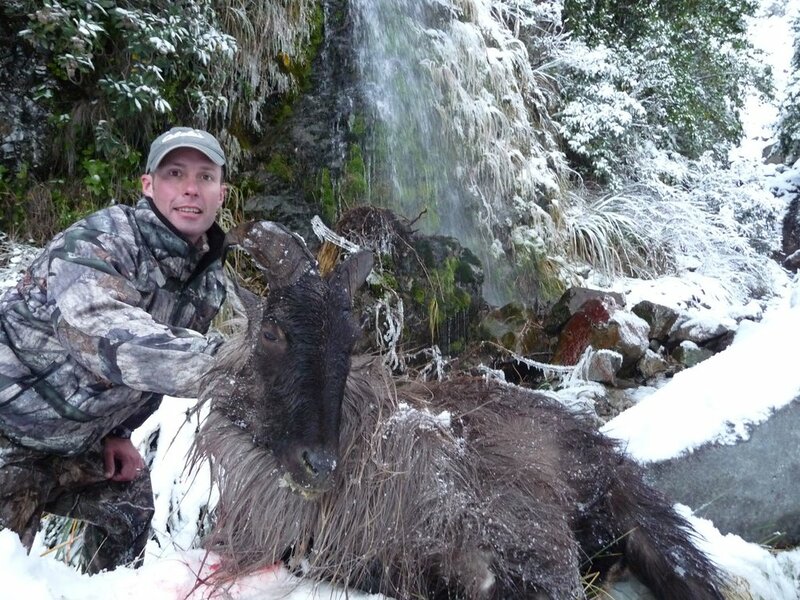 This is impossible to do when hunting with a helicopter. 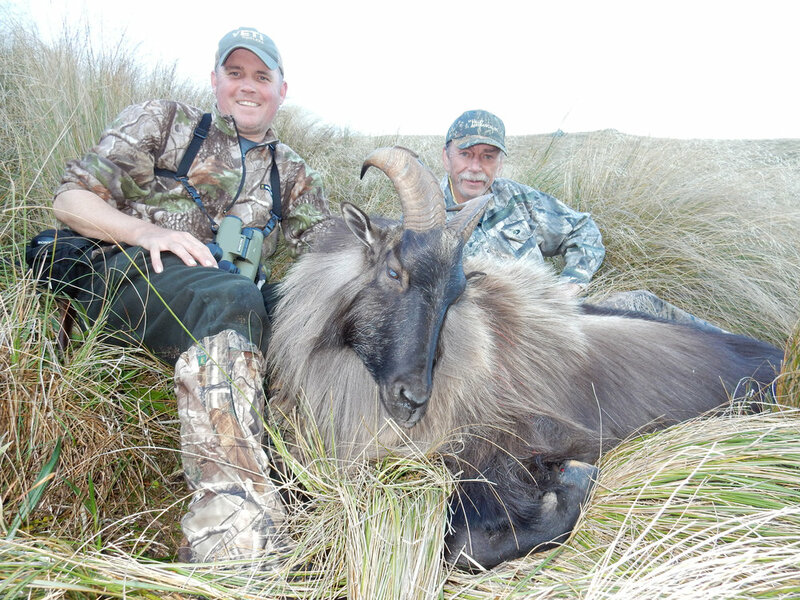 We offer a first class foot hunt for exceptional Tahr on a privately owned free ranch station (ranch). 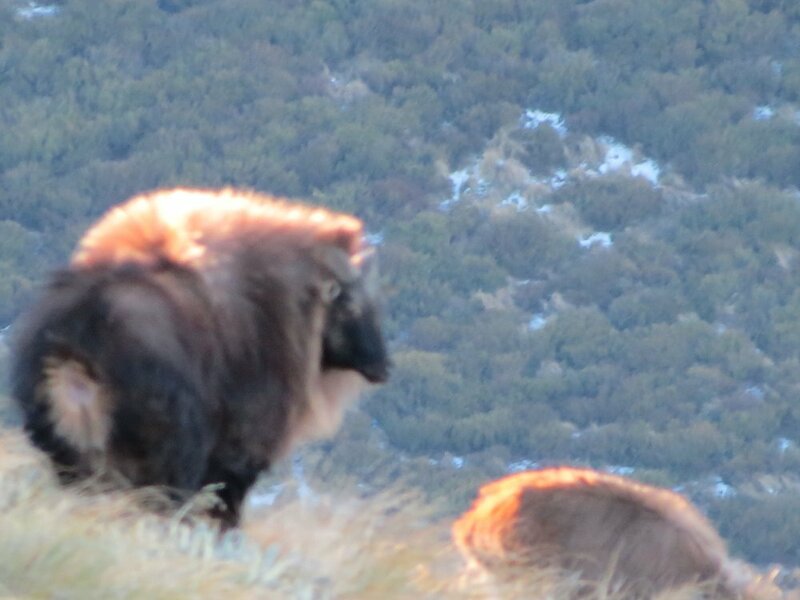 This Tahr herd roams wild & free over 32,000 acres and the other surrounding privately owned properties. 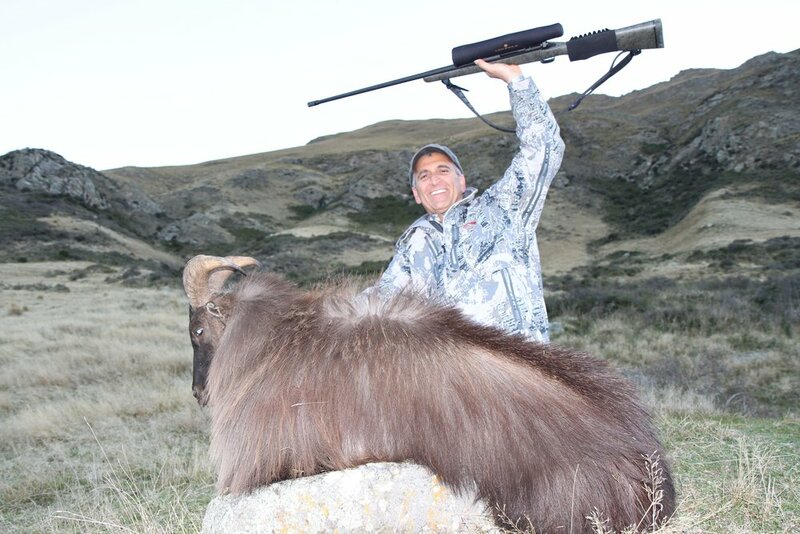 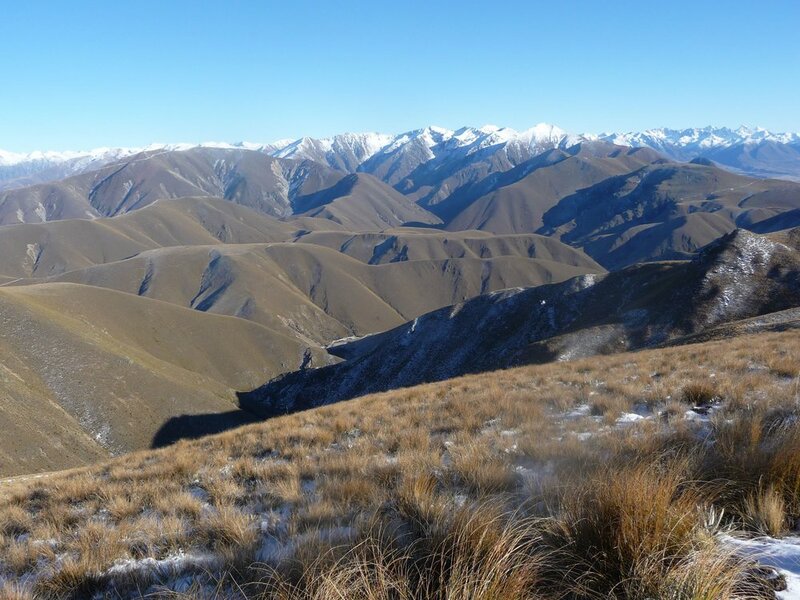 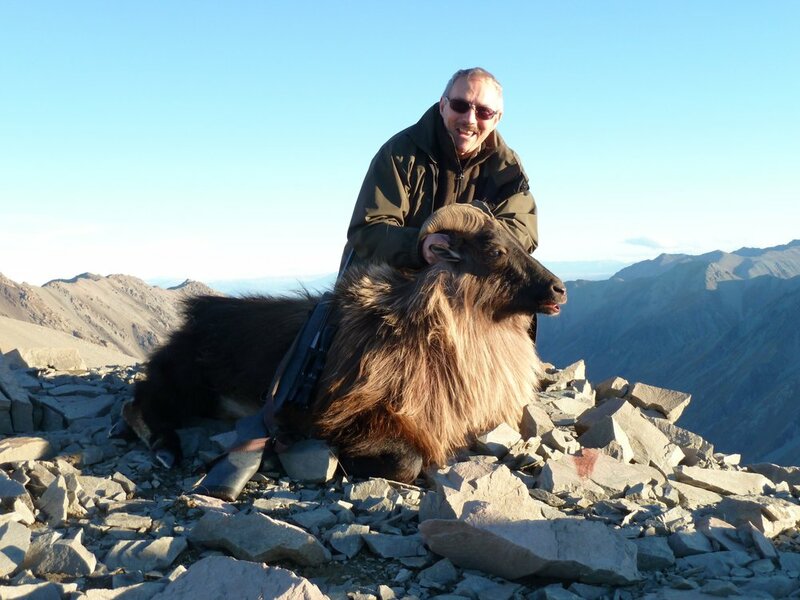 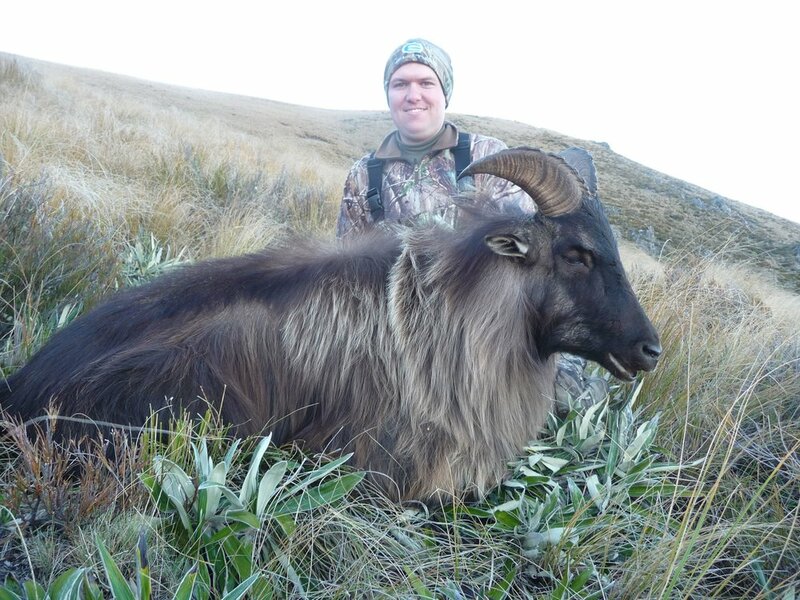 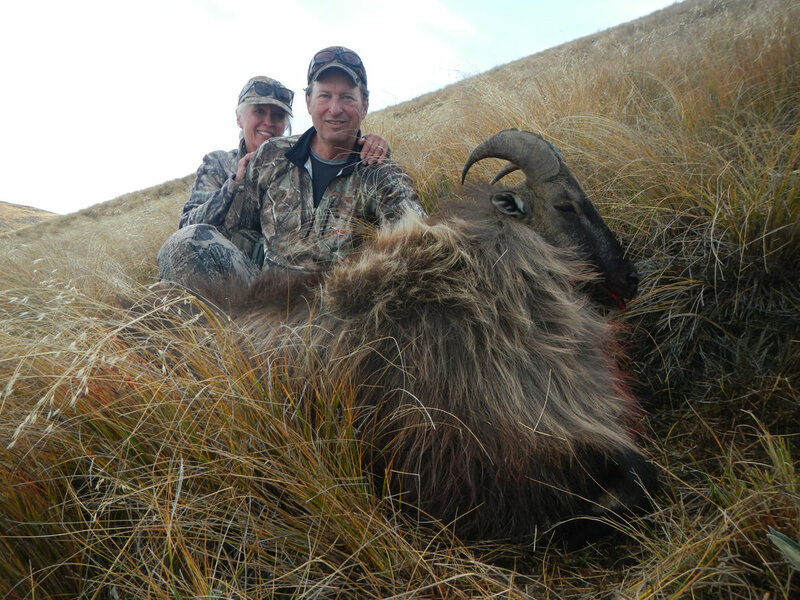 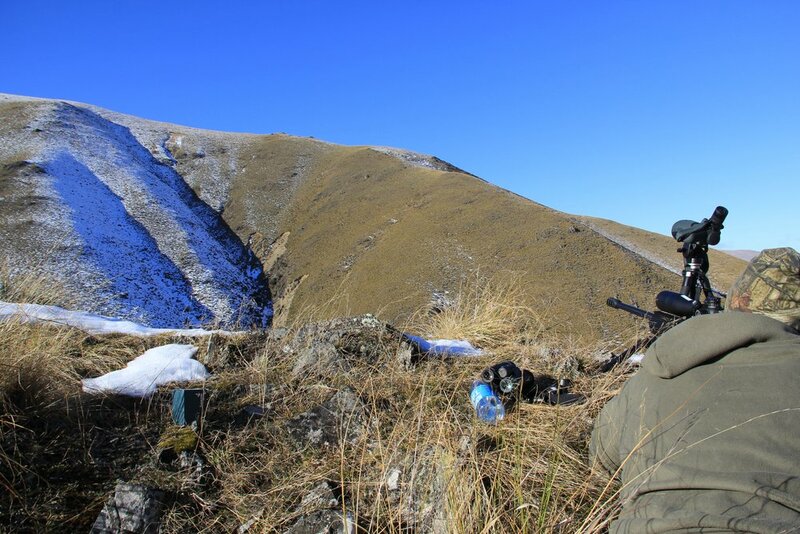 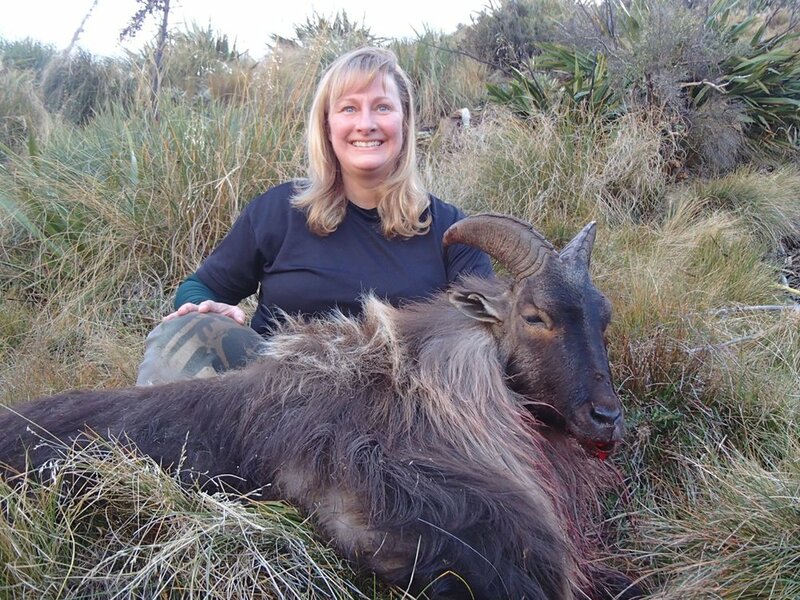 Vehicle access is outstanding to the mountain peaks, so we can offer our Tahr hunt to all ages & physical abilities. 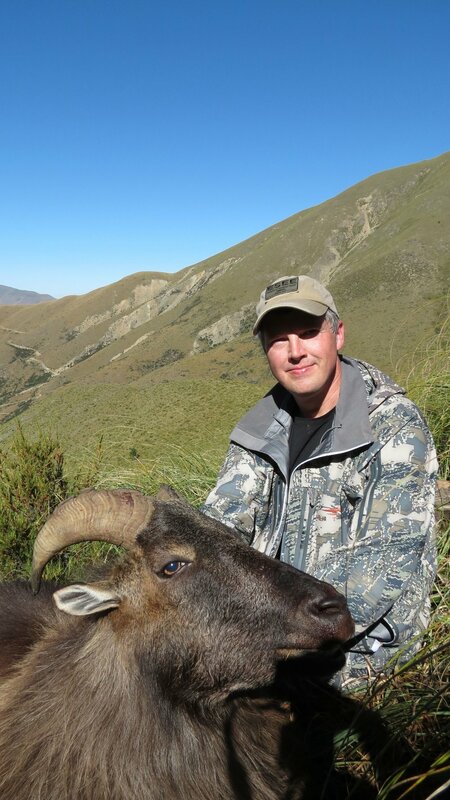 The bottom bull on this double pedestal mount is the bull in the photo above. 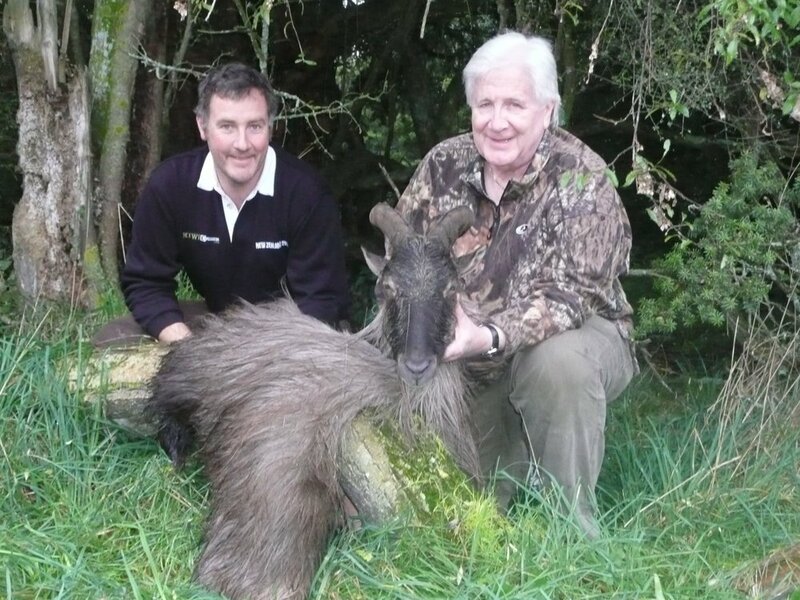 12 1/2 years old and just under 14 inches.